How to Find the Perfect Buyer. Our Leadership Group has been buying homes for over 15 years. We treat each client with the highest levels of respect, empathy and discretion. Our aim is to provide dedicated customer support at every stage of the transaction while providing maximum value for our clients. 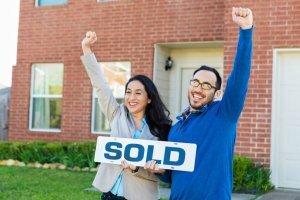 How to Find the Perfect Buyer for your home? Finding the right buyer to engage may seem like a daunting task at first. With so many people wanting to work with you, how do you find someone YOU actually want to work WITH? It’s easy to identify someone worth talking to about a very personal matter. Spend 5 minutes with us, experience the difference today. Our Company believes in putting others first. We understand the many complexities of selling a home. People sell for a variety of reasons and every home has a story. Our client needed a quick sale for the highest amount of profit possible. Discretion was at the top of her list of priorities. We did not want to have a “For Sale” sign on the yard and did not want to have any Open Houses either. We were able to close in under 3 weeks and now have a friend for life and a constant source of referrals. Our client was enjoying retirement when she began having health issues. She needed proceeds to take care of exceedingly high medical bills. She was in possession of a house that had been vacant for 6 months and realized it was now time to liquidate the asset. We closed escrow in 2 1/2 weeks and had escrow wire transfer her proceeds the very next day. This property was vacant for over 1 year and literally had a hole in the roof. Heavy rain flooded the property and made it difficult to sell through traditional means because property had mold and would not pass inspections. We assumed the risk, gave our seller top dollar and ended up with a win-win solution for both parties. Our seller simply wanted to sell his properties, move to Alaska and enjoy some fishing. Seller and his wife simply outgrew their 2 bedroom home and decided to upgrade. Now even the family dogs have a huge backyard to run around in. Our seller decided it was time to move into a retirement home. He needed the proceeds to accommodate him in his golden years. We helped with a full property clean out and provided moving assistance. We closed escrow in 2 weeks. Our seller’s long time tenant decided to move out of state. Seller decided it was time to cash out and sell his rental property. We helped tenant relocate across the country and provided moving and storage at our expense. Seller was happy and tenant was happy. Another win-win situation. Kimberly inherited her grandmother’s home which was in great disrepair. Although Kimberly is a licensed real estate agent, It was important for her to sell without putting any money into repairing the property or making it look pretty for an open house. We closed escrow in 3 weeks. This was a court ordered divorce sale. Spouses were not on speaking terms, everything went through the court. We complied with all special requests from the court and attorneys and ensured a smooth transaction for all parties involved. We were able to secure top dollar for the property and the sellers went their separate ways. Our seller sold his home in order to relocate out of state. We assisted with a full property clean up and helped out with professional movers at our expense. We timed our escrow so he would have enough time to use part of his proceeds as down payment on the new purchase. We also gave him an extra 5 days in the property after the close of escrow. Seller confessed being diagnosed with a terminal illness. Although optimistic, he decided to start making arrangements and liquidating assets. Seller was dealing with unruly tenants who destroyed his property and stopped paying rent months prior. Seller decided to commence eviction process and walk away from his problem property. Seller was unsuccessful in attempting to sell a property with un-permitted additions. Was also dealing with other city code violations. Could not sell through traditional means with an agent and needed to sell as-is, where-is with no repairs. Our seller had a death in the family and wasn’t too sure what to do here. On top of that, they live 1 hour away. They started putting money into the property and attempting to make repairs on the weekends. They quickly realized they were in over their heads and decided to stop throwing good money after bad. We took over this project and took this headache off their hands. We closed escrow in 21 days. Have a Testimonial of your own? Want to share your own experience with us? Send us a note to let us know what working with Sold Now has been like for you.